Private Instructions are best for everyone! Whether you are a beginner or a professional you can benefit from a private instruction. 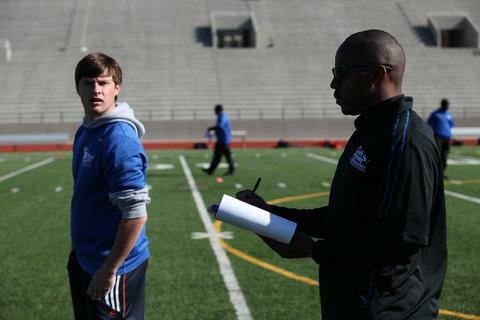 Private instructions are conducted by Cedric Oglesby former NFL kicker and collegiate kicker and punter. 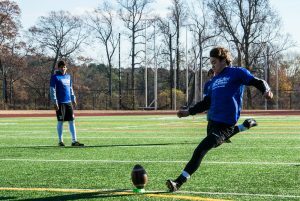 Cedric is a great instructor and motivator that has a trained eye to see what needs to be done to take kickers or punters games to the next level. 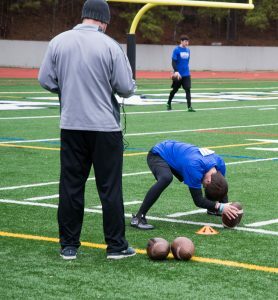 Private Instructions consist of assisted stretching/warm-up, on-field instruction, on-field video analysis, and 1 online video analysis provided to you after the session. Group Instruction is also available. Group Session – Designed for 4 players – 8 players (minimum of 4 players required). Also good for added component of competition to instruction.